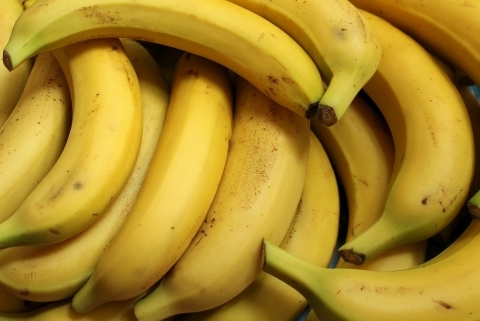 On April 9, 2019, China’s General Administration of Customs (GAC) published an updated list of fresh fruits permissible for import into China to reflect newly granted market access for bananas from Cambodia. This is the second update of 2019 and follows the January 16 update in which Argentinian cherries were added to the list. On August 2, 2018, China and Cambodia signed an agreement on inspection and quarantine requirements that opened the door for Cambodia to claim a share of China’s vast banana market. The signing of the protocol represented achievement of official market access for Cambodian bananas, the first Cambodian fresh fruit to be legally permissible for import into China. In recent years, China’s banana imports have grown rapidly to reach a total value $897 million in 2018. This represents growth of 55% over 2017 and is nearly 2.5 times the value of imports in 2012. Approximately two thirds of China’s banana imports come from the Philippines. Cambodia currently has nearly 50 million hectares of growing area for the banana variety now exportable to China. Located primarily in the provinces of Ratanakiri and Kratié, among others, these plantations have an annual production volume of approximately 300,000 tons. Cambodia’s advantageous conditions for banana production include limited impact from typhoons, as well as hot and sunny weather suitable for continuous year-round growing. This contrasts with China's domestic banana production regions in which staggered influence from typhoons and cold weather impact key periods for the tree’s growth. Additionally, Cambodia enjoys a near-zero infection rate of Fusarium wilt disease, one of the most destructive diseases for banana producers worldwide. As most other banana producing countries are suffering steadily rising infection rates, Cambodia remains at a relative advantage in this regard. Moreover, enthusiasm for banana production continues to grow as the Cambodian government has granted years of profit tax exemption for agricultural development projects including the planting of over 1,000 hectares of rice paddies, 500 hectares of cash crops, and 50 hectares of vegetables. Cambodia’s first banana exports destined for China were shipped in January 2019. However, as China’s inspection and quarantine procedures had not yet been fully completed at that time, all had to be transshipped through Vietnam. Cambodia’s Minister of Agriculture, Veng Sakhon, has said more Cambodian agricultural products are expected to achieve permission for direct export to China, as China’s GAC will be conducting evaluation and review for Cambodian mangoes, longan, durian, dragonfruit, pepper, bird’s nest, and coconut. The following is an edited and translated version of the April 9, 2019 GAC updated list of fresh fruits permitted to be imported into China (original document available here). Latin names are as written in the GAC document. The order of fruits within each country is the same as in the original GAC document, and generally reflects the order in which fruits from a certain region were granted permission to be imported into China. *[Translator's Note: On the GAC list, Sugar apple / Sweet sop and Atemoya are both listed under the same Chinese name (番荔枝).